An Unexpected Christmas was an unexpected delight.... just kidding. 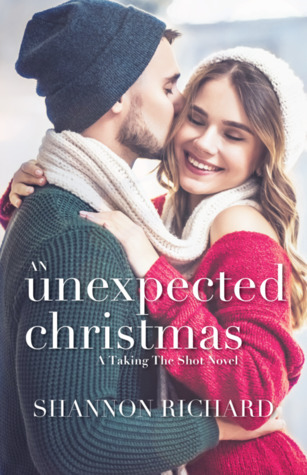 :) The description and the synopsis nailed this one: it is a fun romantic Christmas story will all of the perfect ingredients to make a situation unforgettable and a couple irresistible. The best thing about this story is that while it seemed a bit like a Hallmark movie at times, it wasn't too cheesy and was just the right amount of cozy. Adele and Jace were great to fall in love with as characters and it warmed my heart to see them fall for each other in this book. My one slight non-spoilery thing is that in my mind I did not picture Adele at all like the front cover of the book. Jace is fine, but I'm 99% positive that the first time Adele is fully described she's wearing all black. This book is perfect for the holiday season or maybe even just any cold season. It certainly will make you want to just snuggle up with someone and appreciate the things around you. What is even more exciting to me though is that it looks like this will become a series? I'm not sure if there is enough there to really follow Adele and Jace some more, but maybe it will follow other hockey players or maybe a sibling or something like that? I'm definitely curious though and I am really hoping that whatever it is will be another holiday/Christmas book.